Hire temporary employees from Mexico! Recruitment of 15 nurses specialized in neurological intensive care in the city of Guadalajara. It is expected that the contract will be valid for 2 to 5 years. The General Coordination of the National Employment Service (CGSNE) in collaboration with the Federal Employment Agency of Germany will carry out from 12 to 16 November a recruitment of 30 General Nurses in Mexico City. Representatives of the USA Company Adnil Services in coordination with the National Employment Service will carry out interviews for housekeepers and landscapers positions at the SNE premises in Mexico City and Veracruz. Representatives of the Federal Employment Agency of Germany in coordination with the National Employment Service carry out the recruitment of nursing positions for the representatives of the geriatric hospitals in Germany in search of Mexican workforce. They will interview the candidates that will be paid German courses for 6 months and be given financial support for their personal expenses. Participation of the SNE at the 43rd Agricultural Labor Forum organized by the Florida Fruit & Vegetable Association (FFVA) in Orlando, Florida in order to deepen our knowledge on the impact that current regulations have in this industry and provide to American employers information about all the services that the SNE can provide in their recruitment and selection processes to hire Mexican workers through the H2A Visa Program. Participation of the SNE at the 4th Forum of the National Council of Agricultural Employers (NCAE) in Las Vegas, Nevada. With the intention of providing American employers information about all the services that the SNE gives throughout their recruitment and selection processes to hire Mexican workers through the H2A & B Visa Program. Second recruitment mission will take place at the University of Guadalajara (UDG by it’s name in Spanish) in its Engineering and Healthcare Sciences campus. 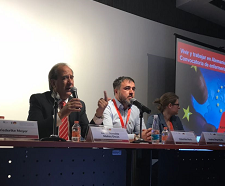 The General Coordination of the National Employment Service participated in the ‘Fraud Prevention and Labor Rights for Foreign Labor Mobility Canada-USA Conference’ alongside representatives of the Embassy of the United States on Mexico City, the Secretariat of Foreign Affair Mexico and the National Migration Institute in the city of Pachuca, Hidalgo. The General Coordination of the National Employment Service (CGSNE by it’s name in Spanish) took part on the Agritech Event at Tampa, Florida USA. Organized by the Florida Strawberry Growers Association (FSGA) in order to promote the National Employment Service. 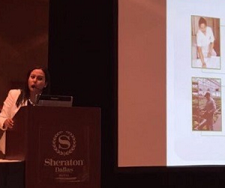 The National Employment Service (SNE by its name in Spanish) took part on the 10th Annual H2A & H2B Visa Program Forum for hiring foreign workforce at the United States that took place on October 12th and 13th 2016 on Dallas, Texas. 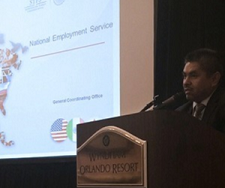 The National Employment Service (SNE by its name in Spanish) took part on the 42nd Agriculture Labor Relations Forum, organized by the Florida Fruits & Vegetables Association on the 15 and 16 of September 2016 in Orlando Florida. The updated information is offered pursuant to the availability of each source and, although efforts have been made to ensure its timely diffusion, the Ministry of Labour and Social Welfare does not assume responsibility for the delay in the update of any or all information contained in this site and specially in the “Occupational Classification” section, due to problems raised from the supply of data from the primary sources, nor for accidental reasons that affect the established procedures.